I realized that there’s no way I’m going to keep up my posts with all of the eating I’ve been doing in Japan. So although every meal I have is an adventure, or brings back waves of nostalgia, I can’t wax poetic in every post. My intention on my 2nd morning in Tokyo was to visit Tsukiji market. I had fond memories of my visit there 11 years ago and wanted a repeat experience. I was able to walk to the market from my hotel, and heard that the market is now closed to tourists until 9am so I planned head over a bit before 8am to have food before I wandered through the market. I was still full from my dinner with family from the night before but I thought I could grab a some sashimi or a chirashizushi before the market “opened”. 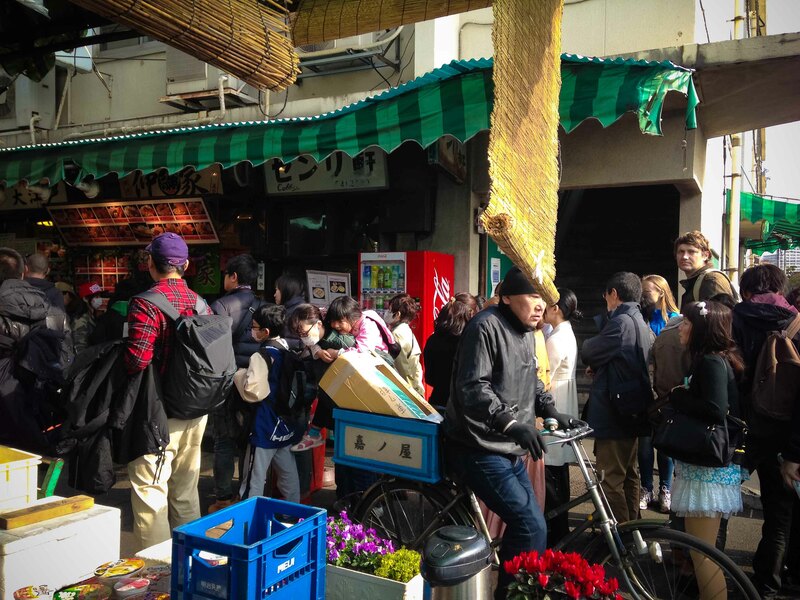 It wasn’t until I got to the restaurant area that I realized how touristy Tsukiji has become. I guess I should have known better, seeing as Tsukiji now turns up on every food site/travel show I see on Tokyo. The line up at one of the popular restaurants. When I visited 10 years ago, I was one of the only tourists in the market. Discouraged by the masses, I decided to head back to my hotel. On my walk back, I noticed a park and thought I’d stop in. 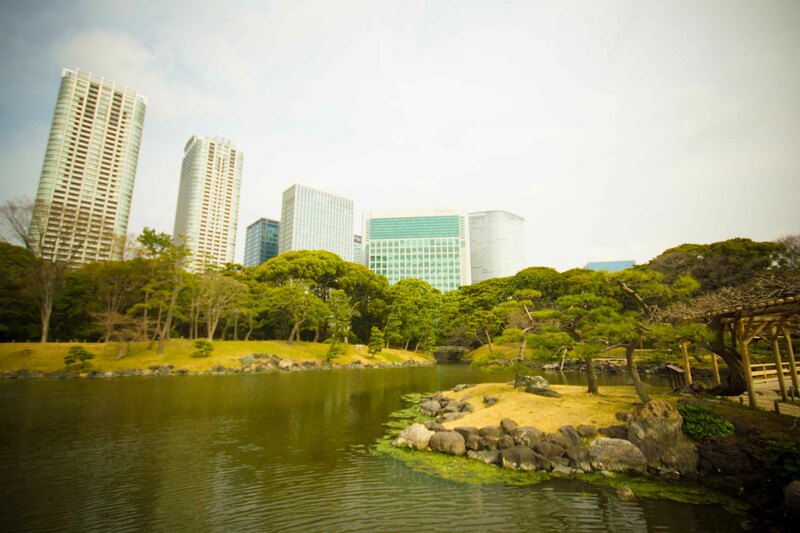 Hamarikyu Gardens is a beautiful oasis in the middle of bustling Tokyo. I arrived just as it opened and it seemed like I had the whole park to myself. 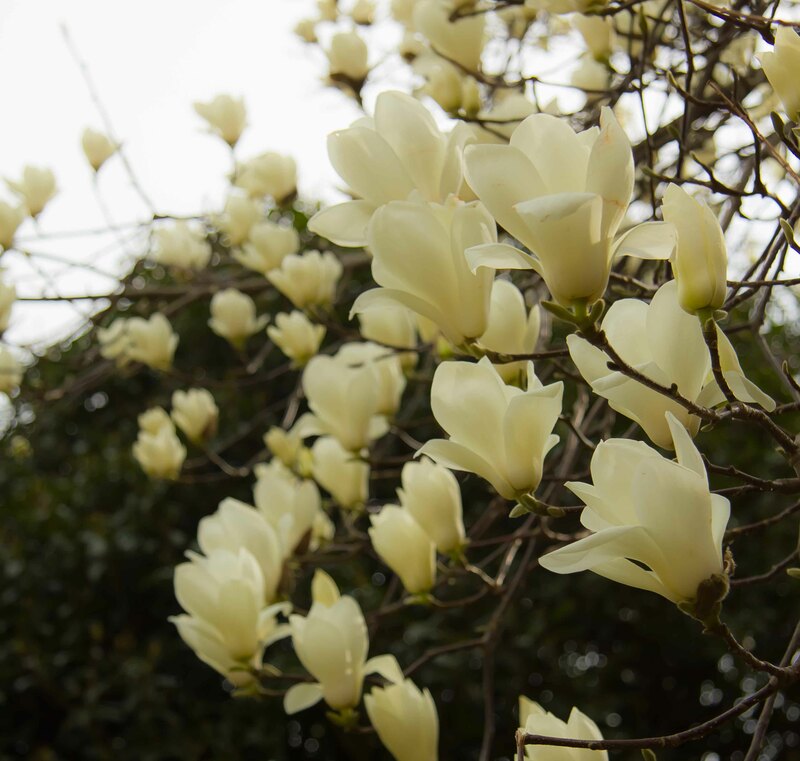 Still on the hunt for cherry blossoms, I was happy to see a few beautiful buds. 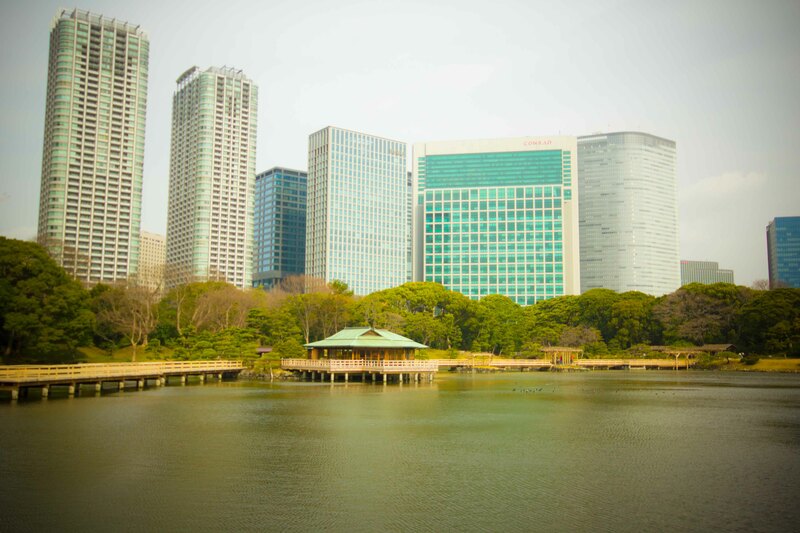 As I wandered around the park, I noticed a little tea shop overlooking the water in the shadows of many tall Tokyo buildings. 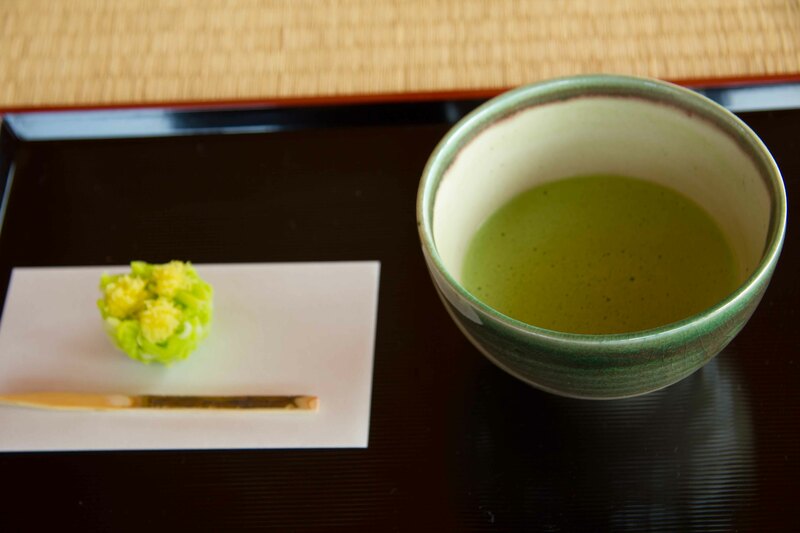 Of course I had to stop in for a matcha and a sweet. It was such a peaceful walk and as much as I wanted to have a repeat of my last visit to Tsukiji, I wasn’t regretting my choice not to stay. 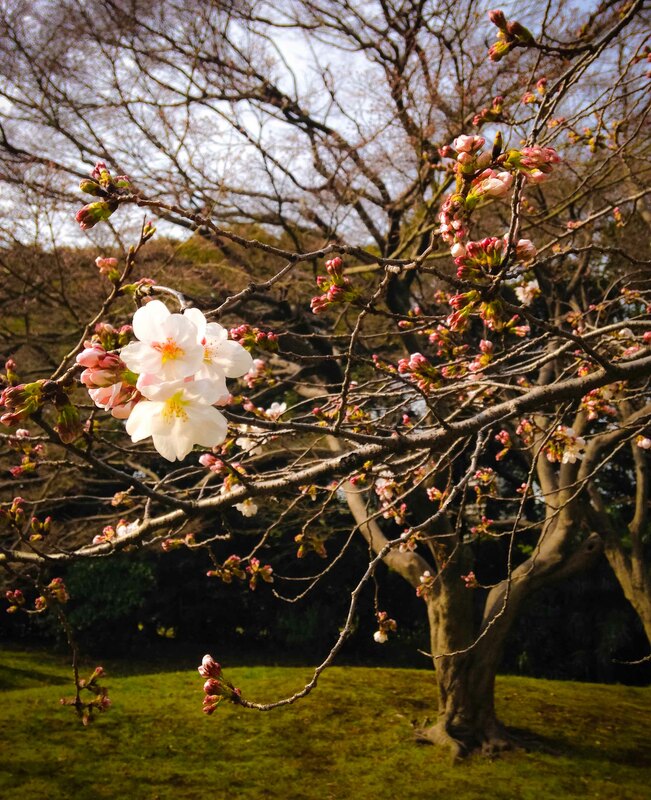 Instead I was able to have a quiet moment in Tokyo, something that most people never get to enjoy. I had so many delicious options on my eating list and had a tough time choosing what I wanted for my last lunch in Tokyo. I narrowed it down to soba and tonkatsu and tossed a coin. Tonkastu won. 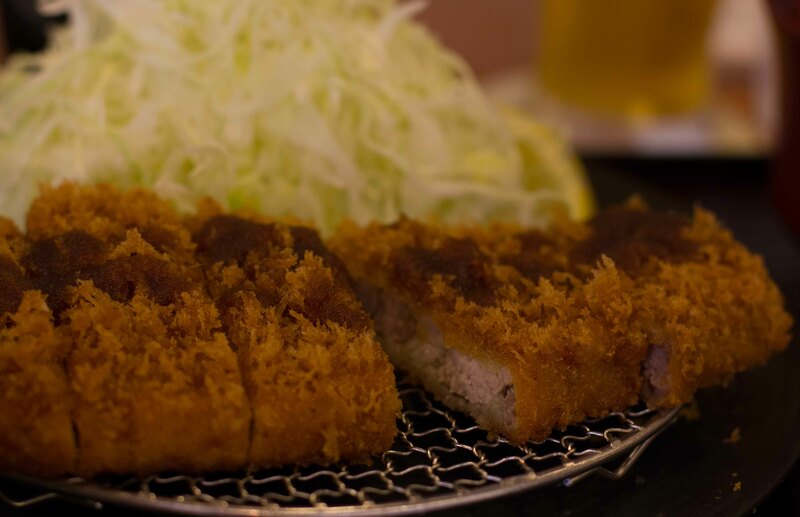 Tonkatsu is breaded and deep-fried pork cutlets that is served on top of shredded cabbage and topped with a sauce that’s usually best described as a jazzed up A1 steak sauce. 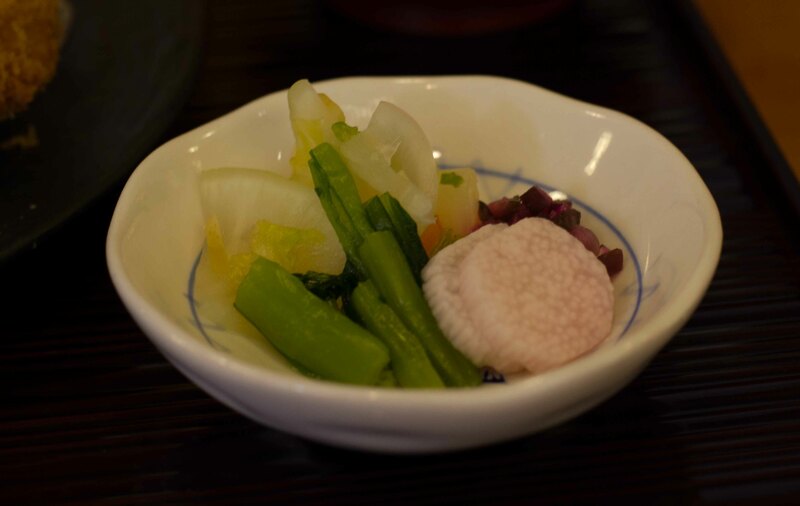 The dish is thought to have originated in Tokyo, which is the reason why it made my short list. 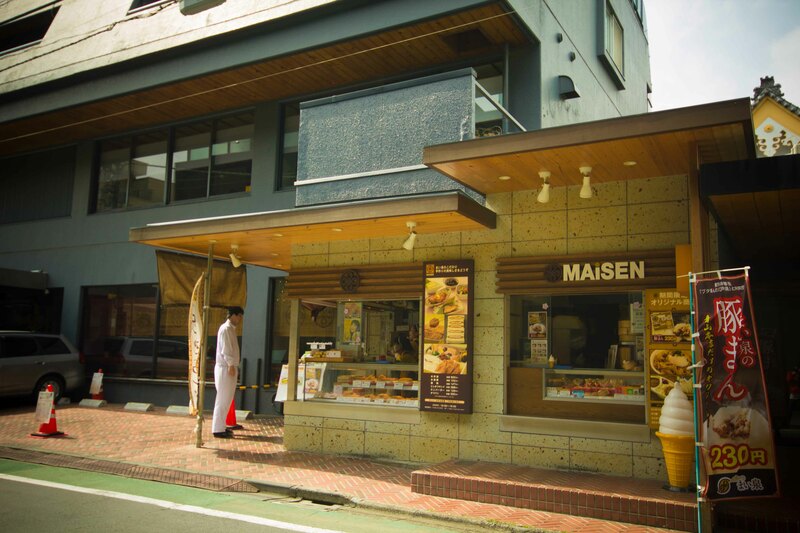 I chose Maisen because it seemed like it was the most popular and delicious tonkatsu option in Tokyo. I wanted to see what good tonkatsu tasted like, because in my experience it’s usually too oily and the meat is over-cooked. The main store was originally a World War II bathhouse and I believe the main dining room is quite unique. But there was a line-up and I was offered a seat at the bar right away which I took. 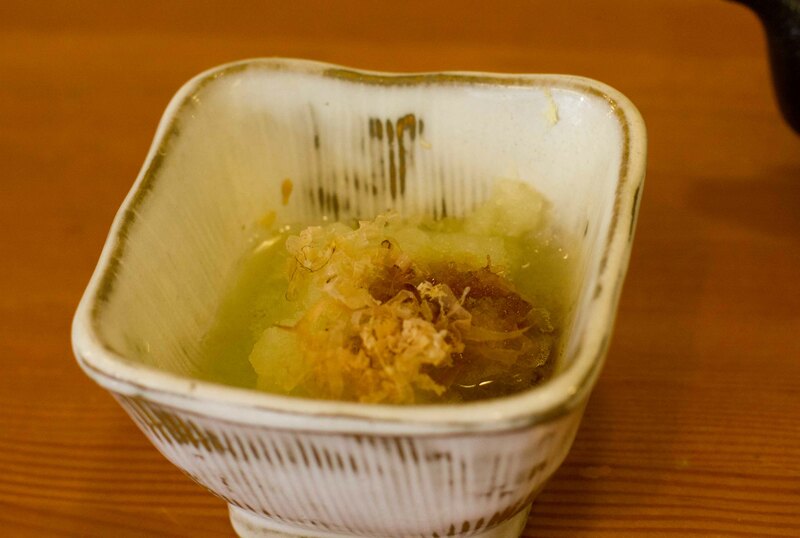 Grated daikon topped with a bit of katsuobushi (dried bonito) and soy sauce served to start. 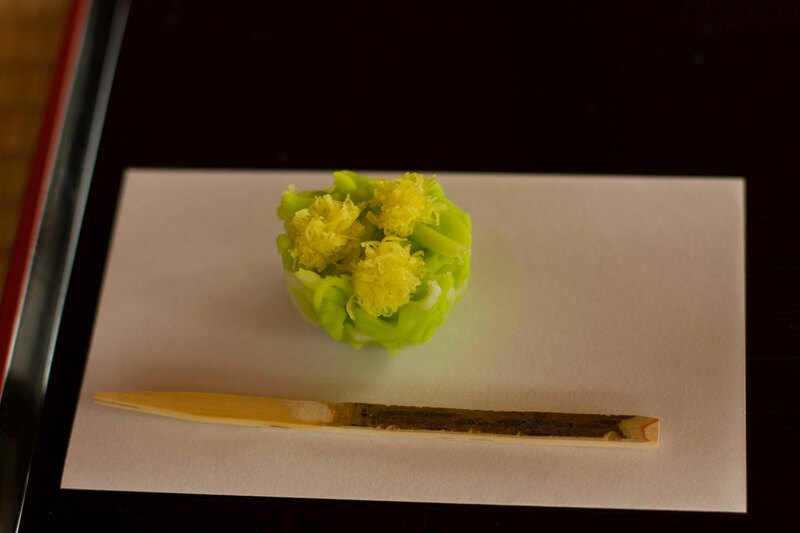 I’ve never thought to eat daikon straight like this, but I like it. Delicious cold beer. 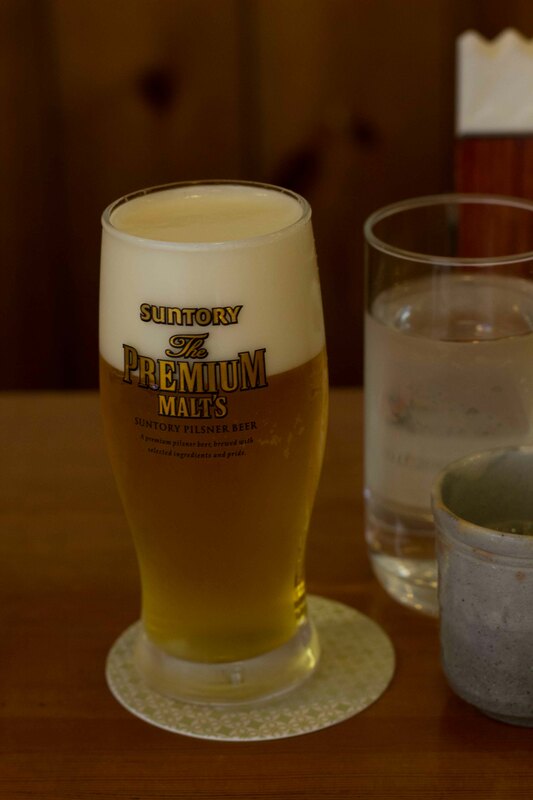 Of all the major Japanese beer brands, Suntory “the Premium Malts” is my new favourite. 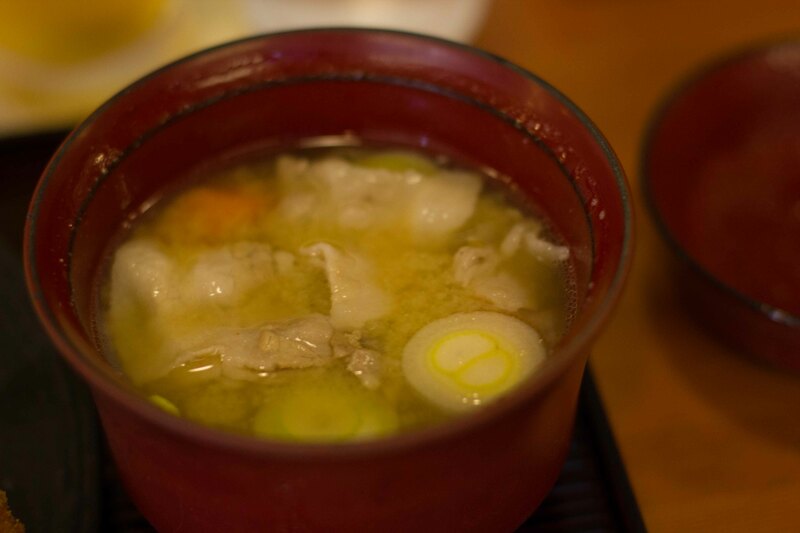 Miso soup with many vegetables and slices of pork. I splurged and ordered the small size Kurobuta rosu (loin). Although the sauce had hints of A1, this had so much complexity in its flavour. The tonkatsu was moist and delicately fried. This was the most amazing tonkatsu I’ve ever tasted. 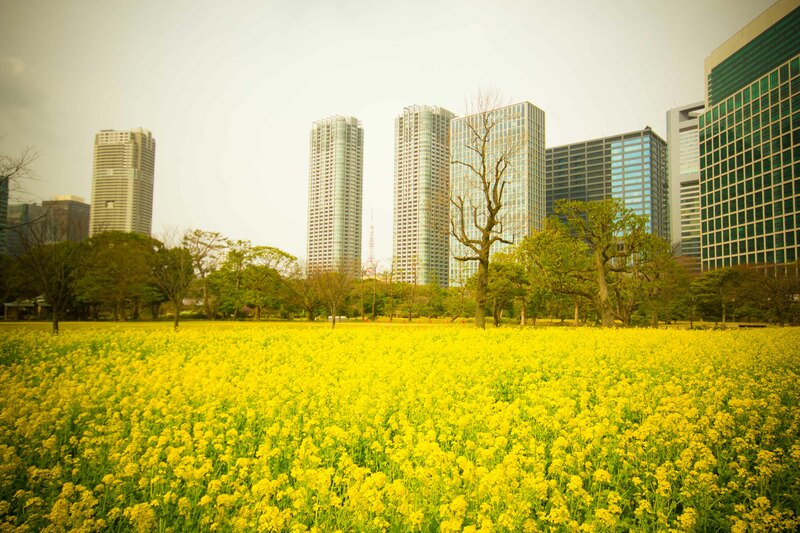 I love the lighting in your photo’s of Tokyo. How did you do this? Thanks! I just do a bit of editing in Lightroom with some free prests I’ve found. It was so good! I didn’t realize how popular Maisen was until I saw it being sold in depachikas al over Japan.